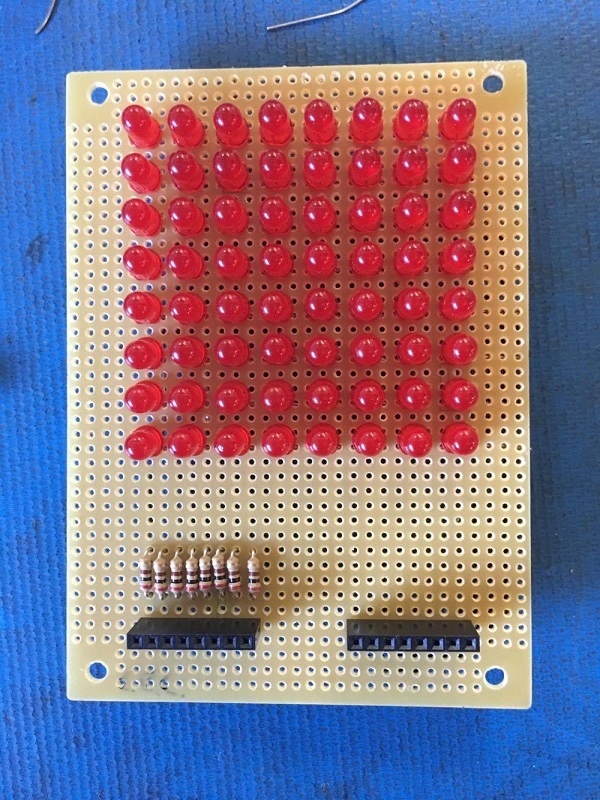 Learn how to make an LED matrix controlled by an Arduino. Scroll down further for step by step photos and more details. You’ll need the following parts: a prototyping board, (2) 8 pin headers, (8) 200 ohm resistors and (64) red LED bulbs. Arrange the LEDs in the board according to the design you’ve chosen: either common row anode or common row cathode. Solder the LEDs to the board, being careful to not to cross any of the anode or cathode leads. Attach the 8 pin headers to feed power to the LEDs, be sure to place a 200 ohm resistor in line with each positive power lead. Test your board for continuity with a multimeter. Attach power to the 8 pin headers. Today we will be starting our adventure into the deeply complex, yet totally incredible world of LED Matrices. This post is the first of an entire Arduino Matrix Programming series by Circuit Specialists. First things first, what the heck is an LED matrix, and how does it work?? Simply put, an LED matrix is a grid of lights arranged into rows and columns. LED stands for Light Emitting Diode, so like with other diodes, electricity flows through it in only one direction – from anode(+) to cathode(-); doing so illuminates the light. 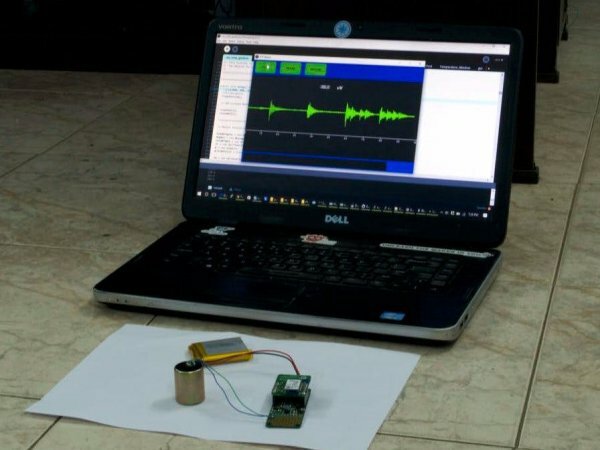 By arranging the anodes (positive side) and cathodes (negative side) in a particular way, we can achieve a matrix and call upon each LED individually by sending high and low signals from our arduino device. Led matrices come in two arrangements. Common-row anode (left) and common-row cathode (right). The difference between these two configurations determine how you would call on a specific LED. With common-row anode (left), the current sources (positive voltage) are attached to rows A – D. Currents sinks (negative voltage, ground) are attached to columns 1 – 4. Conversely, with common-row cathode (right) the current sinks (negative voltage, ground) are attached to rows A – D and currents sources (positive voltage) runs through columns 1 – 4. Applying this knowledge, to light the top-right LED (A,4) in a common-row cathode matrix you would feed positive voltage to column 4 and connect row A to ground. We will be building this arrangement of common-row cathode matrix in this tutorial. To build this matrix, we will need a few things to get us started.